It's not often a business can change your life, but this is exactly what happened after I walked in the door of UB Diving. The outstanding support and guidance I received from Sean and Shellie over the past 13 years has shaped me into a successful commercial dive supervisor. I would recommend UB Diving to anyone interested in diving for fun or for work. Couldn't have asked for a better experience! I completed my Open Water Diver course with Sean and Shellie when I was 15 and signed up for my Advanced Open Water course shortly after. Sean is such a knowledgeable and great teacher and he really makes an effort to ensure that everyone is feeling safe and conformable in the water. After completing the courses I felt confident in my diving abilities and ready to take the plunge in the incredible waters we have here. 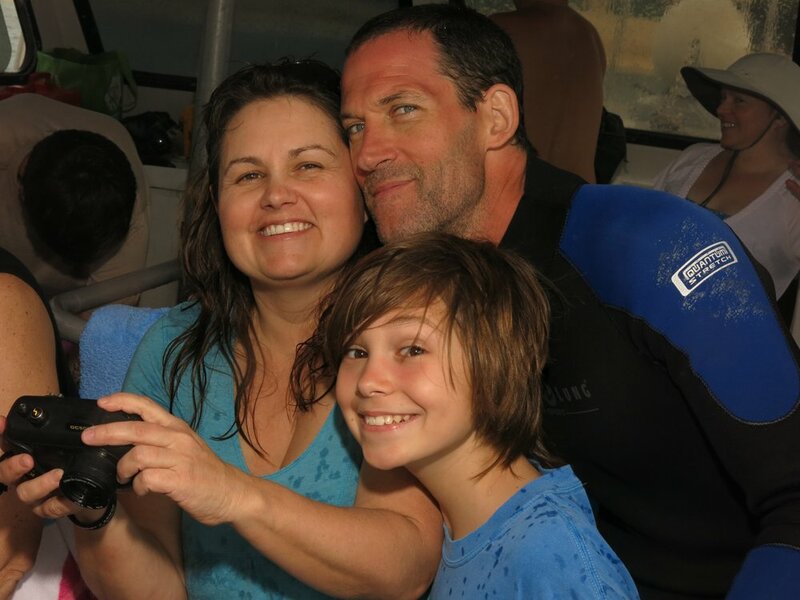 On charters Sean always does his best to take you to the best dive sites and where you're most likely to see abundant marine life. I got to live out one of my lifelong dreams shortly after getting certified with UB diving, diving with sea lions! Those were definitely the best dives I've experienced and are a must for any diver or animal lover. I havent been on a dive in a while but hopefully I'll be suiting up again for a refresher course with Sean soon and getting back in the water! I highly recommend UB Diving for divers of any level, you will not be disappointed! I've been diving with Sean for fifteen years (!?!) I got my open water certification with him as a wee teen, for my sixteenth birthday and was treated with safe, dignified encouragement. Sean and Shelly have always been there to push me to go further, and explore more and that has lead to diving around the world and opening my eyes to a world unknown. All these years later, they are still dependable, inspiring and a riot of a good time! Been diving for 10 years and UB diving is still my number 1 place to go to get everything I could need! Sean and the staff at UB dive have always provided safe and professional service to continue this amazing sport! When I look for a supplier of goods and services, in order of importance, I look for: 1) competitive pricing. UB Divers pricing is aggressive and reward loyalty. This is a huge plus for commercial divers; 2) quality service and warranty. UBD's warranty is hassle free, again significant for commercial divers needing the part or service yesterday; 3) knowledgeable friendly staff. UBD are all professional and enthusiastic recreational divers; 4) accessible. Sean or someone at the shop is always available. I haven't had to test 24/7 but I wouldn't be surprised if its so. When I travel to Vancouver Island, UB Diving (Sean) is my choice for Dive Charters. They are professional and friendly and always go the extra mile to ensure their clients have the best experience. As an instructor I have had the opportunity to dive in many locations in Canada and around the world but Courtenay and UB Diving is by far my favourite cold water diving. I highly reccomend them. I am a commercial diver and long time customer of UB diving. Shawn and Shellie always provide an excellent service and the best prices. Both of them are always extremely friendly and helpful. They also have excellent sites to take diver to, wolf eels and sea lions are their friends. I would not go to an other dive shop. This is THE place to go for diving!! If you've been diving forever, or you've always wanted to try, now is the time to stop by UB Diving. UB diving is a professional dive shop. The owners participate in the running of the shop and are very concerned about customer service which they excel at. Sean participates with the diving and you can not ask to dive with a more knowledgeable and friendly Captain. He is also excellent at equipment repairs and maintenance. I really enjoy diving with UB. I've had the pleasure of doing lots of charters with UB Diving, and they are literally AMAZING. Sean and Shellie are absolutely incredible guides to have, they're so knowledgeable about the area, and Sean is one of the greatest boat Captains you could ever have. They make sure literally everything is taken care of, and genuinely want to make sure you get the right gear, and truly enjoy your dive experience. I can't recommend them and their facility enough. I have been using UB Diving for all my commercial needs for 13+ years. Sean and Shellie are always helpful and a pleasure to deal with. If your in this area or plan to be this is the place to use. I started diving with Sean and his dive shop instructors at UB diving in 2006. They took me all the way up to Master scuba diver. UB diving has it all, very high quality instructors, excellent dive charters, and an outstanding staff that can provide you with all of your equipment needs and service. I highly recommend UB diving. I took my open water with UB Diving (Sean was the instructor). Sean was super professional AND he managed to make the classes fun. He really helped me when I struggled a bit to understand some of the reading material. Now everytime I go in to the store its a delight to catch up and his wonderful wife works there too. She is always super friendly and very very helpful. Amazing dive shop! The boats are perfect for day trips, staff are knowledgeable, helpful and extremely funny and fun to be around!! Fantastic shop for getting you started in the Vancouver Island diving scene. I have gotten both my PADI license and advanced diver`s license here, and the instructors were extremely helpful for a first time diver. Shop owners are very friendly and great to go on dives with. Whether it`s your first or 500th dive, i would highly suggest booking with these guys.